In its latest policy brief "Land & Agriculture in Rwanda: EU support must focus on the needs of the most vulnerable rural actors", the European Network for Central Africa (EurAc) offers a critical overview of the main results and achievements of the Rwandan agricultural sector and calls on the European Union (EU) to focus its support on strengthening the economic position of the poorest farmers and the most vulnerable rural actors. The European Network for Central Africa (EurAc) publishes its annual report for 2017, highlighting the activities and publications of the secretariat and the members in 2017 as well as looking forward to it's 15th anniversary in 2018. In its latest joint policy brief "Advice Note to Companies, Member States, and the European Commission", the European Network for Central Africa (EurAc) along with 15 other civil society organisations, brings attention to the EU Regulation on due diligence in mineral supply chains and the obligations it entails for Union importers of tin, tantalum, and tungsten and gold (3TG) originating from conflict-affected and high-risk areas. In its new report Land, development and conflict in the Great Lakes region: Towards a renewed EU and Switzerland engagement for equitable land management in Burundi, the Democratic Republic of Congo and Rwanda, the European Network for Central Africa (EurAc) provides a thorough analysis based on an extensive field research in the three Great Lakes countries and presents practical recommendations to the European Union (EU) and its member states, as well as to Switzerland, for an enhanced engagement of the international community with land governance that contributes to peace, stability and the protection of local populations’ economic and human rights. One week ago, on 16 March 2017, the European Parliament approved the European Regulation for the responsible sourcing of minerals originating from conflict-affected and high-risk areas. In its new report titled 'Accompanying measures to the EU Regulation on responsible mineral sourcing: Towards an improved governance of the artisanal mining sector in the DRC' released today, the European Network for Central Africa (EurAc) does not hereby intend to discuss the content of the new regulation but it rather wishes to focus on the “accompanying measures”, the non-legislative measures meant to ensure the effective implementation of the regulation. Based on our understanding of the challenges in the DRC’s artisanal mining sector, EurAc has identified in this report three main gaps, relating to the accompanying measures currently envisaged for the DRC, in the current approach adopted by the European Union (EU) and its Member States: the limited financial resources allocated to strengthening the governance of the artisanal mining sector, then the limited attention paid to local actors and finally the vagueness regarding the strengthening of political dialogue with the Congolese government and with other countries in the Great Lakes region. The European Network for Central Africa (EurAc) calls on representatives of Member States and of the European Parliament participating in the trilogue to revisit their copy on the establishment of the ‘White List’ of smelters and refiners certified as ‘responsible’ and on the definition of exemption thresholds for ‘small’ volumes of ‘3Ts’2 and gold minerals and metals imported into the European Union (EU). EurAc and its partners are deeply concerned that the Council mandate agreed by COREPER on 7 December 2015 has proposed reopening and weakening the OECD Due Diligence Guidance, an established standard negotiated and agreed by industry, governments and civil society. This is of little help to the EU companies that are already implementing it, and limits the effectiveness of the EU’s response to the trade in conflict minerals. At the contrary, Member States should show leadership and engage in a constructive dialogue that makes it clear to companies, investors, consumers, and those affected by the trade in conflict minerals, that the EU is firm in its commitment to more responsible and transparent supply chains. The vote in the European Parliament on 20 May has set out key principles for a due diligence system that would align the EU with global efforts to tackle a minerals trade linked to conflict, corruption, and human rights abuses. It would set a practical due diligence standard, secure a level playing field for EU companies and investors, and ensure the EU pursues a coherent and integrated approach to many of its development and foreign policy objectives. JOINT OPEN LETTER - Conflict minerals in the DRC: Dr. Mukwege and a group of 34 NGOs call on the European Parliament to make a difference! On 20th May, the European Parliament will vote on a proposed regulation to tackle the trade in conflict minerals. This trade in tin, tungsten, tantalum and gold (3TG) is fuelling conflict which has had devastating consequences for people in countries such as the Democratic Republic of Congo (DRC) and Colombia. The discussions surrounding the proposed EU Regulation seem to have intensified the debate on the lessons to be learned from the many initiatives launched in DRC to fight against the phenomenon of ‘conflict minerals’. EurAc would like to contribute to this debate by setting out in this document the analytical bases of its position and recommendations. These bases aim at clarifying the main lessons to be learned from DRC to date. Taking into account the many different facets of the Congolese artisanal mining sector, this clarification exercise will inevitably involve a certain degree of complexity. The analytical bases are therefore presented in 4 chapters, each addressing one of the main issues raised by ‘conflict minerals’ in DRC. In this memorandum EurAc presents an analysis of the regional challenges and specific challenges for each of the three countries (DRC, Burundi & Rwanda), which the EU must take into consideration in order to effectively and sustainably support peace and democracy in Central Africa. This analysis is supplemented by recommendations addressed to the various competent European political decision-makers. The new European Parliament has a critical opportunity to strengthen legislation proposed by the European Commission and create responsible mineral supply chains for Europe. In its current form the Commission’s proposal, a voluntary scheme open to a limited number of companies, is weak and unfit for purpose. EurAc is calling on MEPs to amend the draft legislation so that it legally requires companies to check their supply chains and identify and mitigate risk – a process known as due diligence – in line with existing international standards. Companies should also be required to report publicly on their efforts. The report discusses the socio-economic consequences of the suspension of artisanal mining in 2010, instigated by the DRC president, and a subsequent de facto embargo, as most international mineral traders abstained from returning to the DRC in reaction to Section 1502 of the American Dodd-Frank Act.A number of issues are listed that need to be addressed to ensure the success of a possible EU initiative on responsible sourcing of minerals from conflict-affected and high-risk areas. These issues include the need for local ownership, the question of political will, formalisation, lack of information in the field, and a lack of capacity to implement initiatives in the mining sector. This group of 58 European and global non-governmental organisations including EurAc calls on the European Commission to adopt legislation requiring European business entities to conduct supply chain due diligence in order to ensure that they do not contribute to conflict financing or human rights abuses in the production and trade in natural resources. EurAc and Fatal Transactions believe that the EU institutions and member states must step up their efforts to increase transparency and good governance in the artisanal mining sector in eastern DRC. 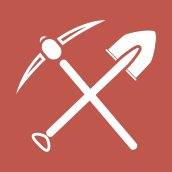 Action is needed at numerous levels in terms of: encouraging EU companies trading in certain minerals to undertake adequate due diligence; support to certification and mapping efforts on the ground in eastern DRC; the reinforcement of Congolese state capacities to administer the mining sector; and support programs aimed at increasing socio-economic benefits from mining at community level.